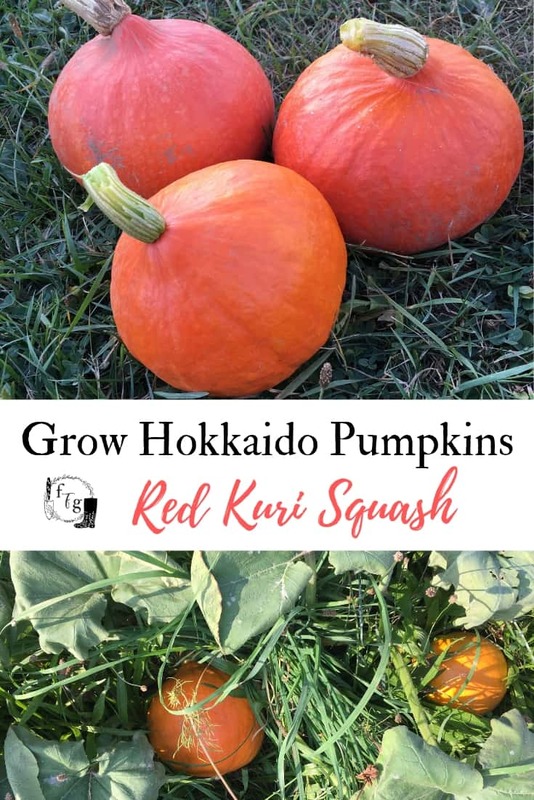 I love the many ways you can enjoy eating Kuri squash (also called Hokkaido Pumpkins). 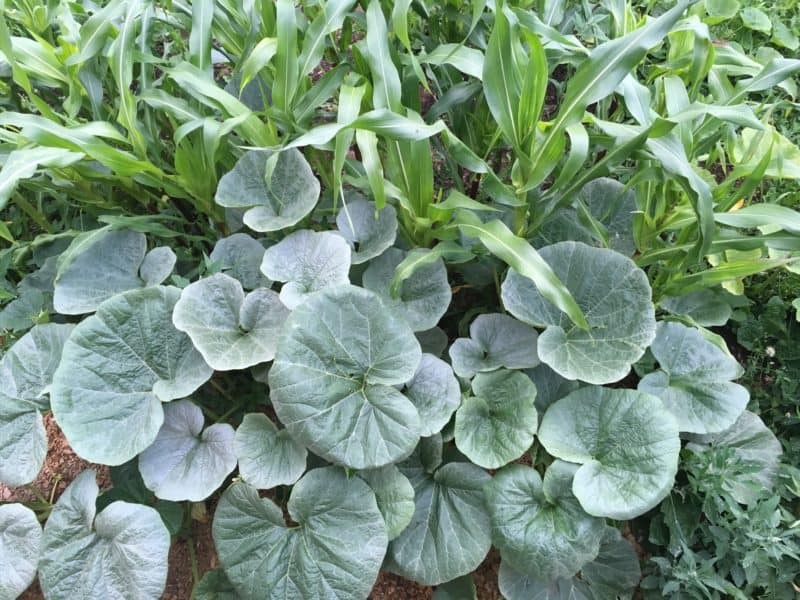 This variety originates from Japan and is gaining popularity in kitchens and home gardens. 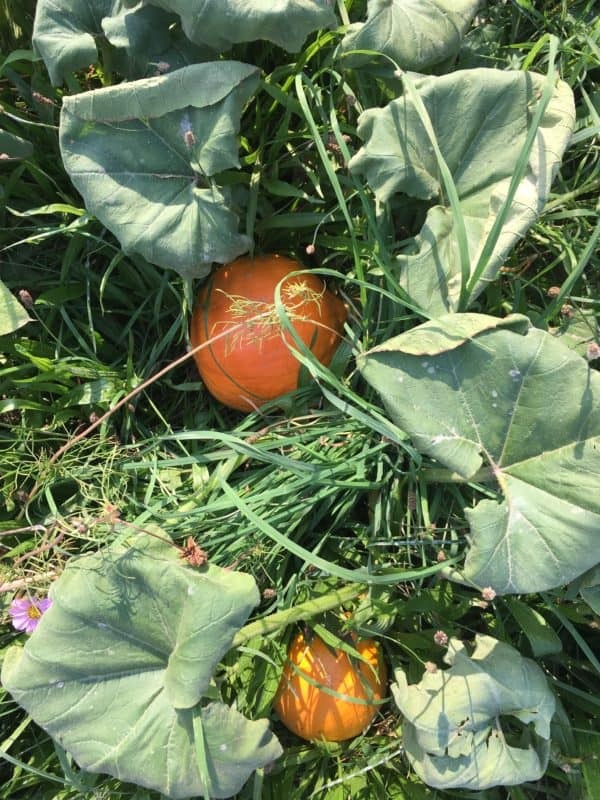 This squash is a Cucurbita maxima, the same as many of the pumpkins which is why it’s called a winter squash or pumpkin. It’s a teardrop-shaped with a striking red-orange color. Mashed Kuri squash. Bake in the oven until tender with a fork. Scrape out the flesh and mash with butter and salt. Yum. Thinly slice Kuri squash with the skin on and baked. Soups and stews (I often bake puree first). Stuffed and baked in the oven. 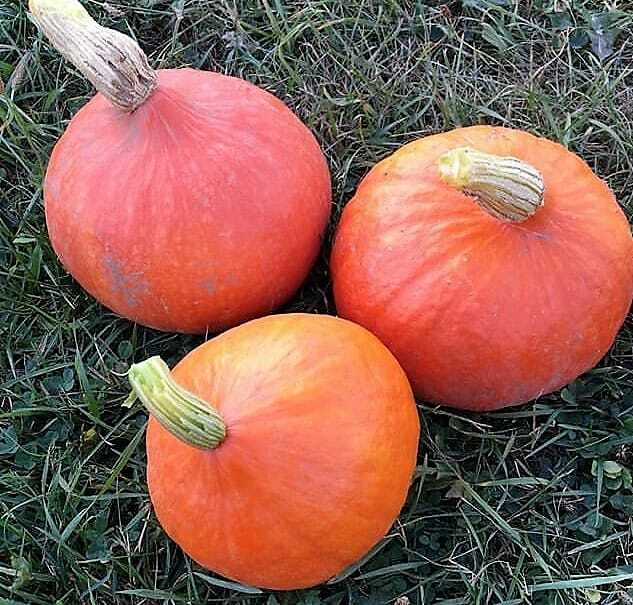 Out of all the winter squash and pumpkins I’ve grown Kuri has been the most reliable. We often get a summer drought, and this variety handles this stress better than so many others. We can also harvest earlier than many other varieties making it excellent for short seasons. It’s a prolific producing plant, we often get 3-7 on each plant. They are a warm season crop that cannot be planted before your last spring frost. 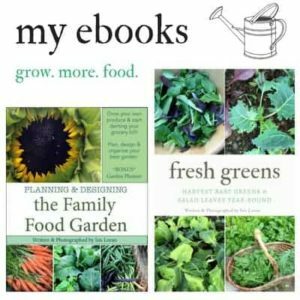 I start seeds indoors about 4 weeks before last spring frost, you can directly sow in warmer climates, but starting seeds indoors helps with maturity. By growing seedlings you’ll have better luck with more fruit ripening in time. 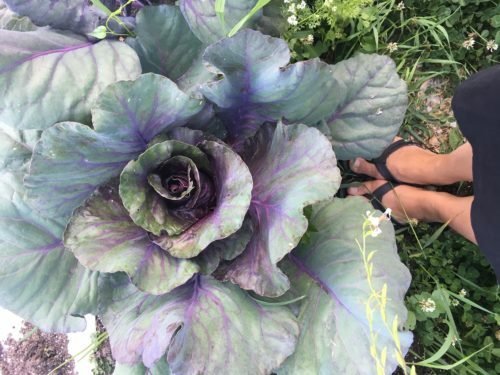 This plant is a decently heavy feeder and appreciates rich well drained soil full of compost. It is a fruiting crop, so make sure they’re getting enough nutrients. You can mulch to retain water better. These vines sprawl out everywhere, so plant where they can take over or trellis them. 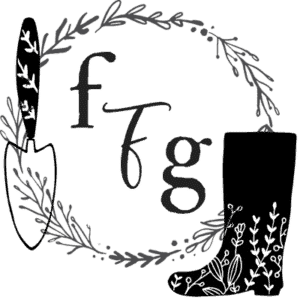 I’ve really enjoyed Kuri in the 3 sisters permaculture guild. 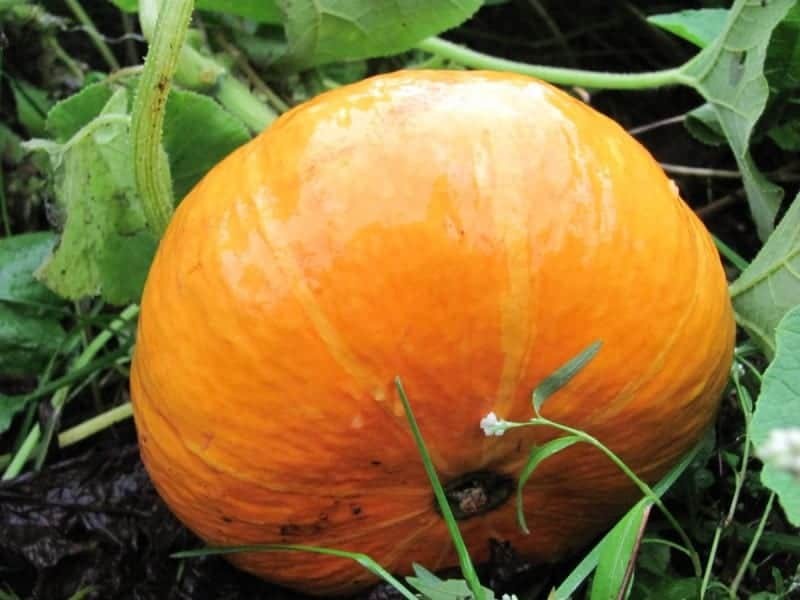 Other great companions for squash include nasturtiums, marigolds, radishes, corn, calendula, and beans. By growing flowers with your squash you’ll get better pollination rates as you’re attracting bees. 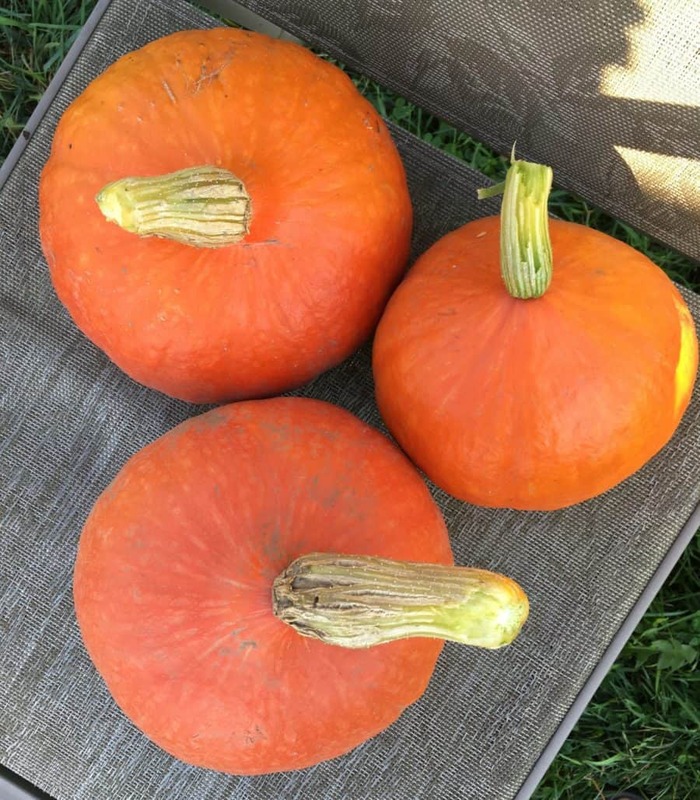 When are Kuri Squash ready to harvest? 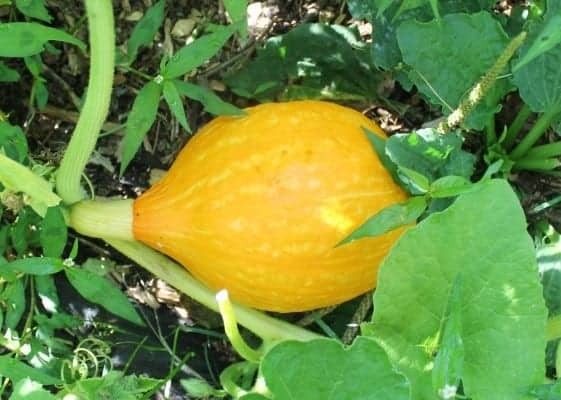 The above photo shows a Kuri Squash while it’s at a younger growth stage. The color will change from yellow to a deeper orange red. You shouldn’t be able to push your nail into the rind, and the stem should be dry. Once you’ve harvested your squash, you can cure them so they last longer.